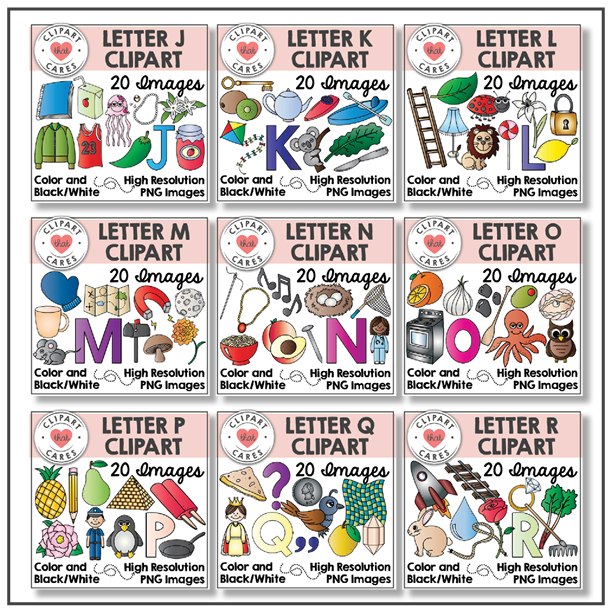 Looking for beginning sounds clipart for your classroom decor, phonics instruction or educational resources? Look no further! 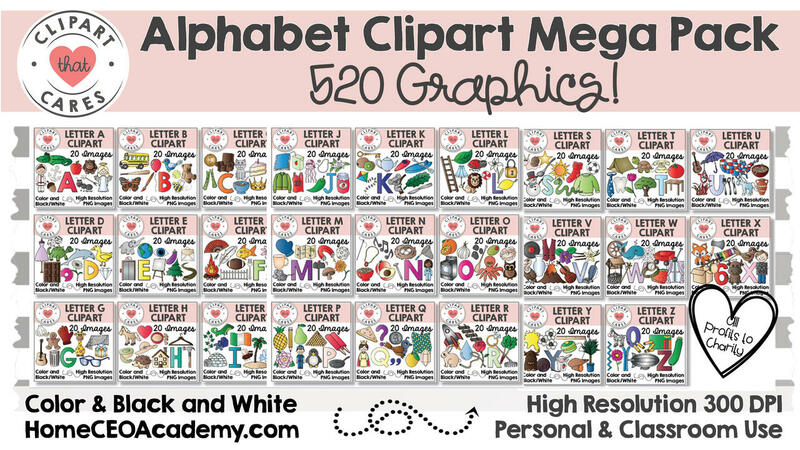 This huge set of 520 beginning sounds alphabet clipart graphics is a great resource for teachers, home educators, day-care providers, preschools and elementary schools and can be used in a variety of ways. 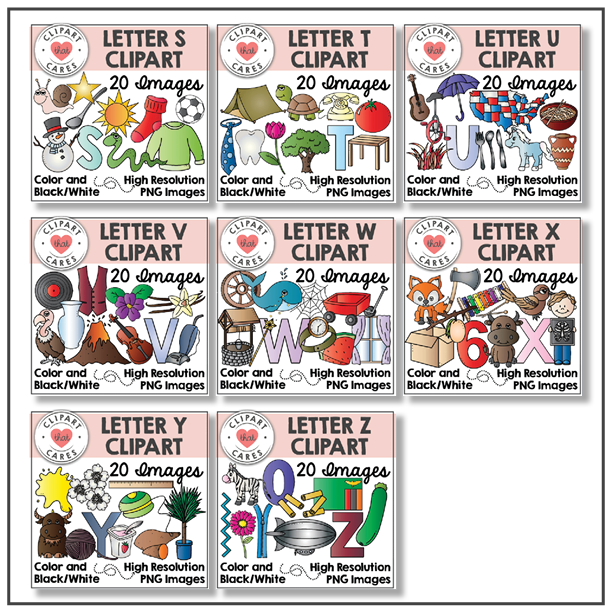 Instant digital download of 520 alphabet clipart graphics in 26 sets of clipart (letters A-Z). 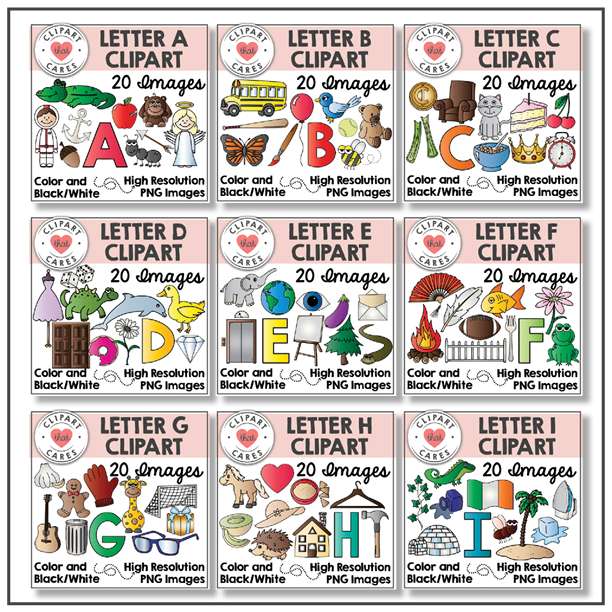 Provided in high resolution color and black and white image files.